Many Toyota trucks and SUVs run out of factory adjustment when you install lift kits. With our patented design this upper control arm provides an additional +/- 2 degrees of camber and 0 degree to +4 degree of caster change. Built with an OE style ball joint and bushings, this arm is designed to correct alignment angles while maintaining factory ride quality. The hybrid tubular and forged steel design is tough enough to race - on or off-road. 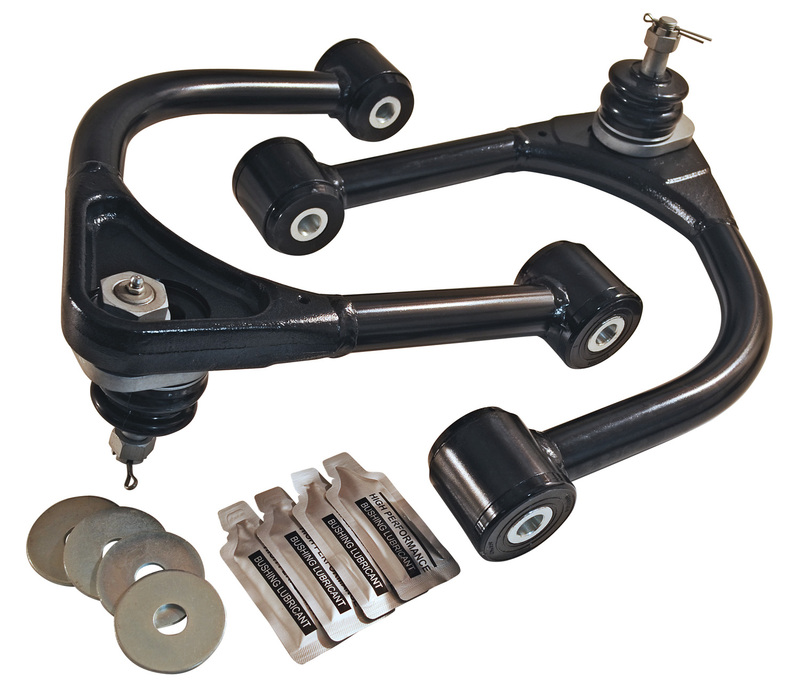 These remove and replace arms are available in pairs for lifted and off-road applications.